So let’s just put sweets out of mind for a moment (or a week or two) and switch to a savory topic. Get out your napkins and paper towels because a sloppy recipe is coming your way! Normally I’m content with a good ol’ can of Manwich (for just a buck, how can you go wrong? ), but I do love to make as much as I can from scratch when time allows. I truly wish it were possible to make everything in my kitchen homemade (from all my seasonings to condiments to cereals to pasta, etc, etc, etc), but I think I’d have to quite my job and devote my entire life to food prep for that to happen. So for now, a nice balance will have to do. 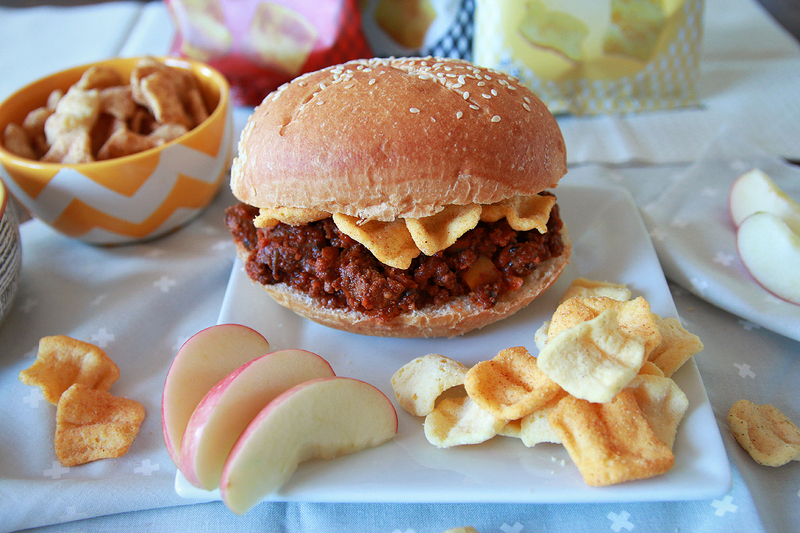 I don’t know about you, but I find that a sloppy joe is not complete without a layer of crunch between the joe and the bun. Am I right? This entry was posted in Dinner and tagged all natural, dinner, egg white, egg white chips, Homemade, ips, protein, recipe, sloppy joes on February 19, 2015 by milkandcerealblog.